Hi all. A little bit of a tough morning, nationally speaking, I'm not going to lie. I do worry about the future of our divided country, and our situation with the individual who has been elected our leader. Rough stuff, right there. There's nothing we can do about it now, so I figure maybe an INSPIRE distraction is what we all need, yes? Here we go. Inspiration - This week, I am finding inspiration in my close group of friends: Shauna'h, Allison and Sam. No matter what goes on in my day-to-day life, I know that they are only a text away. 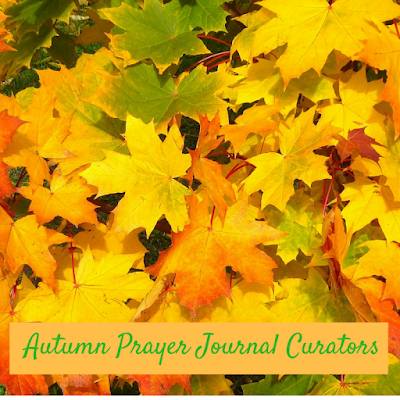 Their prayerful, soothing and humorous presence is balm for my soul. Nourish - I finished Mother Angelica Her Grand Silence last night. The end of the book really focuses on Mother's advice to others to always live in the present moment. The past is history, the future is unknown, the only thing we can do is be present. I really took that to heart. My work situation has been stressful, and it's easy to will the time to move quickly because what you're doing isn't all that fun. I don't like doing that though, because it feels like I'm wishing my life away. I have resolved to try and enjoy what I can in each present moment, even when teaching. Spread Joy - As ever, I am working on my patience. I returned a call today that I really didn't want to (is there anything worse than work voicemail?! :0) but I was determined to have a good attitude about it, and consequently, it was much easier to feel patient with the time investment involved. 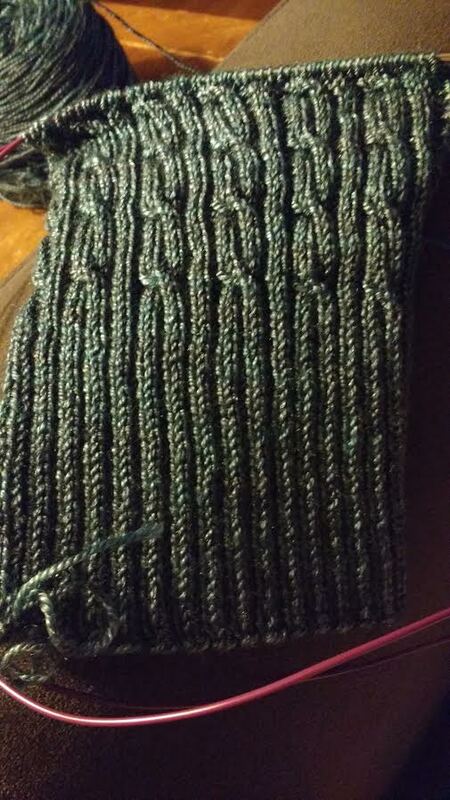 Projects - This hat is taking me FOREVER. 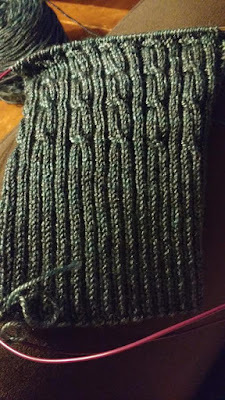 :0 It has a constant knit 2, purl 2, rib going, and that's why I think, but all the same... I at least remembered to photograph it this week. Brim is long for customizable roll up options. I'm within 2 repeats of moving to the crown decreases! I've also been finding creative inspiration the past week and a half in the drum solo I choreographed for the hafla. I'll talk about that tomorrow in Tea Time. Involve - I took Henry to altar server training on Saturday and it was quite a joy. He's signed up as a volunteer for the year, and I hope it works out well for all of us. I feel trepidatious having our Mass schedule messed with because I love it so much, but I need to learn to be a bit more flexible. The way it works is that altar servers rotate amongst our 3 weekend Masses (5 pm vigil, and 8 am and 11 am Sunday morning), totaling 1-2 commitments per month. The schedule is done before Advent for the entire year, and then servers just switch with each other whenever they have a conflict. So, I'm going to have to get used to occasionally going to 8 am Mass. :0 We'll see how this works out, but Henry is pretty enthused about it, and given his age, I think it's an excellent thing to have something about his faith be exciting for him. Reflect - Lord, help me to savor the everyday moments. There is much in life that we cannot control, but we can control our perspective and reactions. Help me to always see the good in others, and react in a positive manner. End Goals - To stay productive and positive throughout next week's in-person workshop week. I: October and fitness didn't go well. But you have been inspiring me to hit my step goal this week, and making me laugh while doing it! N: I've been on a praise & worship kick lately, and it has been bringing me such a sense of peace. The group here made a Spotify playlist lately, so I've been listening to that while writing lessons. S: Went out for milkshakes with some friends last night. It provided a much needed distraction from everything, and we all were laughing by the time we got back to campus. I: Well, I have lots of reading to do now. I'm still reading Story of a Sould, but am going to put it on hold while I read The Ear of the Heart as I'm borrowing that from the library. Hoping to start it today! R: Your words, O Lord, are spirit and life. E: To take each day this week one thing at a time. Hi Sam! I am enjoying our Workweek Hustle very much. I LOVE Fitbit challenges, so feel free to start one with me anytime! I adore that your Praise & Worship group has a Spotify playlist, how fun is that? I think you're going to enjoy "Ear of the Heart," can't wait to get your thoughts on that. And aren't you loving "Christmas Blackout?!" I got into chapter 2 last night, and found it hard to put down!